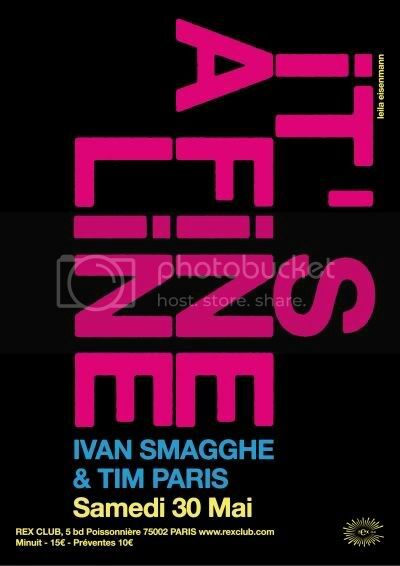 Ivan Smagghe & Tim Paris are busy in the studio as It’s A Fine Line, and they are also busy behind the decks. Having worked on their dj show in many festivals and club nights (including Fabric in London, Lux in Lisbon, NAME festival in Lille or Goa in Madrid) they land in Paris on may 30th for a 7 hours session that will go wherever their combined creative minds bring them to. This entry was posted on October 11, 2009 at 19:15 and is filed under Live, News. You can follow any responses to this entry through the RSS 2.0 feed.